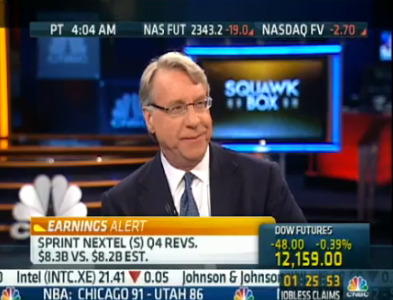 Jim Chanos is on CNBC.Carl Quintanilla teased earlier that the hedge fund managers would reveal some new shorts. We’ll be covering his notable comments. In addition to reiterating his China bearishness — and his sense that the US economy is “ok” — he’s hinted that later in the show he’ll talk about his interest in shorting the big integrated oil players. Should be interesting. You’ll know the music is over in China when the crain’s stop going up. The Chinese credit expansion is “much worse” than what we saw in the US. Construction as a share of the Chinese economy is 70% of the economy. As for the fact that he’s never been to China, he says people who go there get bamboozled and dazzled by the amazing skyscrapers. Some shorts he’s making: Royal Dutch Shell and Petrobras.